Large, bright open concept 1 BR apartment with hardwood floors, vintage details, beautiful built-ins, exposed brick wall, patio. 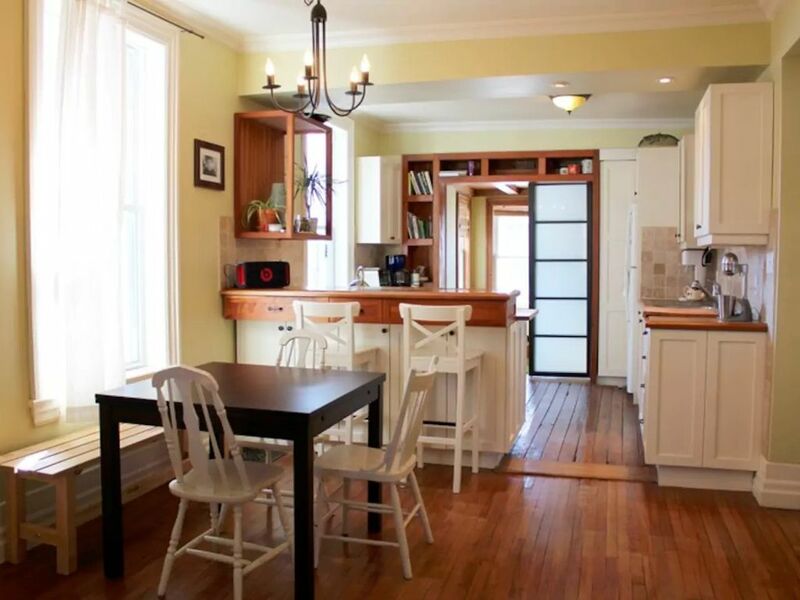 Updated with a lot of love, this apartment is on the ground floor of a beautiful historic duplex located at the heart of the Hintonburg, one of the most vibrant areas in Ottawa. Perfect location for strolling the vibrant Wellington Village. Less than 5km to Parliament Buildings and Byward Market, express bus to downtown. Around are dozens of quality restaurants, bars, coffee shops, bakeries, boutiques, farmers market, Westboro beach with a bar playing live Latin music, Experimental farm with botanical gardens, walks, boat rentals. In the winter - Ottawa river ski trails with a ski rental shop nearby, Rideau canal - the longest skating rink in the world where you rent your skates for just a few $, drink hot chocolate, eat famous beaver tales, or stay by a live fire right on the ice ! Being placed in the heart of transportation crossroad, you can get anywhere around Ottawa and close-by Quebec in minutes!